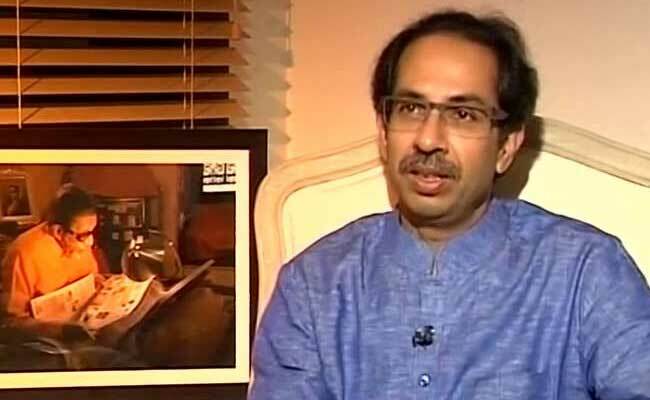 Uddhav Thackeray has said RSS chief Mohan Bhagwat should be the next President. Mumbai: Shiv Sena leader Sanjay Raut's surprise proposal - the name of Rashtriya Swayamsevak Sangh chief Mohan Bhagwat for the post of the next President - has received the endorsement of party chief Uddhav Thackeray. President Pranab Mukherjee's term comes to an end on July 24 and there is speculation that the Narendra Modi government will consider a fresh face for the nation's highest office. Though Mr Bhagwat last time said he is not interested, Mr Thackeray today provided fresh life to the idea. "For the first time, we (BJP-led NDA) have received such a strong political mandate. The formation of a Hindu Rashtra is the primary objective and hence, Bhagwat should contest the presidential election," he said. In March, Sena lawmaker Sanjay Raut had said, "We hear that the name of Mohan Bhagwat is being considered and if so, I think it is right and the BJP should consider his name." But he had also added that Mr Thackeray would take a final call on whom the party would support. The BJP's recent victory in the assembly elections of Uttar Pradesh and Uttarakhand stacked the numbers in electoral college - the body that chooses the President -in its favour. The Electoral College comprises 776 parliamentarians and 4,120 legislators. Its total strength is 10,98,882 votes and the halfway mark is 5,49,442 votes. Even counting the support of ally Shiv Sena - which has lately been proxy opposition to the BJP -- the NDA will fall short of 25,000 votes. The opposition is scouting for its own candidate. Since last month, party chief Sonia Gandhi and her son and deputy Rahul Gandhi have been informally meeting opposition leaders across the board to discuss possible candidates. A structured meeting is pending. The Congress has also said it would consider a consensus candidate only if the Prime Minister consults them - a scenario party leader say is unlikely. Party leaders have said they are also open to a second term for President Mukherjee - who, however, said he would be ready to consider it only if the government asks him.